Fondue, anyone? Today I’m going to share some photos and blather on about the beauty of Switzerland. What a neat chunk of planet this place is. So for those of you aspiring to Financial Independence, keep saving up and put this destination on your travel list. Switzerland travel tips, here we come! Much of what I’m about to recount is from nine years ago. I don’t think Switzerland has changed all that much since then. They still use Swiss Francs for their primary currency and most places take dollars and euros. And credit cards. 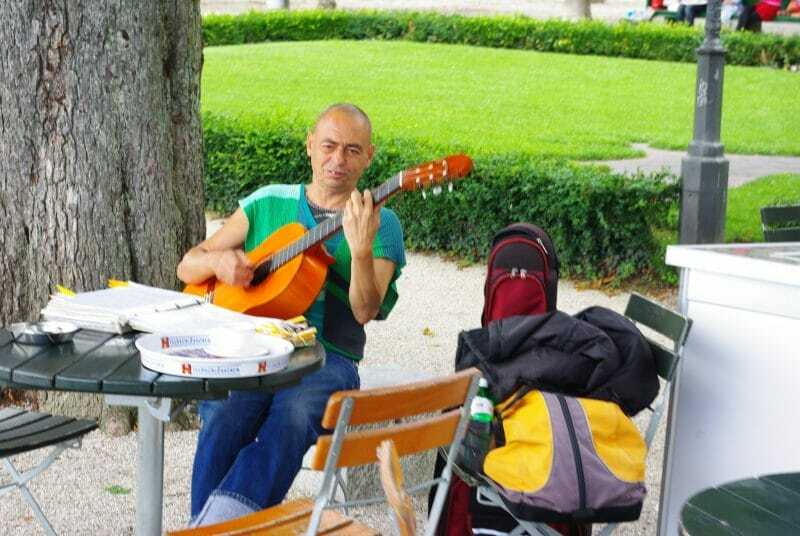 The people are nice and speak English, especially those YOU will interact with as tourists. Ever since our ’09 trip, I’ve referred to this lovely country as Disneyland for Grown-ups. That’s right. Disneyland proper is for kids, so stop kidding yourself that you need to keep going back as an adult. This part sucked. The one time I really hated on President Obama was when he visited NYC the same day we were to fly out of JFK to Zurich. You can guess what happened. The traffic, both street and air, got hosed up for hours. Our only recourse, with our flight delayed for HALF A DAY was to get an earlier connection to Atlanta, and then skip over the pond around tea time (or tee-time in Georgia.) I’ll never forget how crummy it was trying to sleep on cylindrical benches at JFK, before our 4AM flight to Atlanta. JFK’s benches were pretty much just like this one. Cozy looking, eh? The flight from Atlanta to Zurich was uneventful. I had a fleeting moment of wishing I’d voted for McCain but it must’ve been drug induced. At any rate, we get to Zurich and our luggage hadn’t arrived with us. But of course! We didn’t get too wound up about it. Zurich is a highly efficient airport with English speaking help at every corner. And it sure didn’t hurt to clear Customs and have our friends waiting at the door to pick us up. Finally, we’re on VACATION. I like European cities. We’ve been to Paris. I’ve seen Oslo. Zurich is similar to both in its own way: Pretty old buildings, a fairly efficient and easy to use mass transit, and tourists everywhere!!! 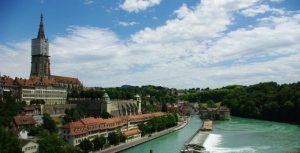 Steves gives his best advice in his Switzerland guide by advising us asshats to skip the cities and head straight for the Alps. Based on our experience, he was spot-on. Granted, you can’t beat a fine European city. You could do worse! But when you have the Alps within reach, don’t fart around at sidewalk cafes. Save that for Paris! It is pretty in the city. But get to the Alps, mein freund! On our way out of Zurich to the Alps (the Berner Oberland, to be specific) we took the train and my oh my, did the scenery get ever more spectacular as the trek moved on. 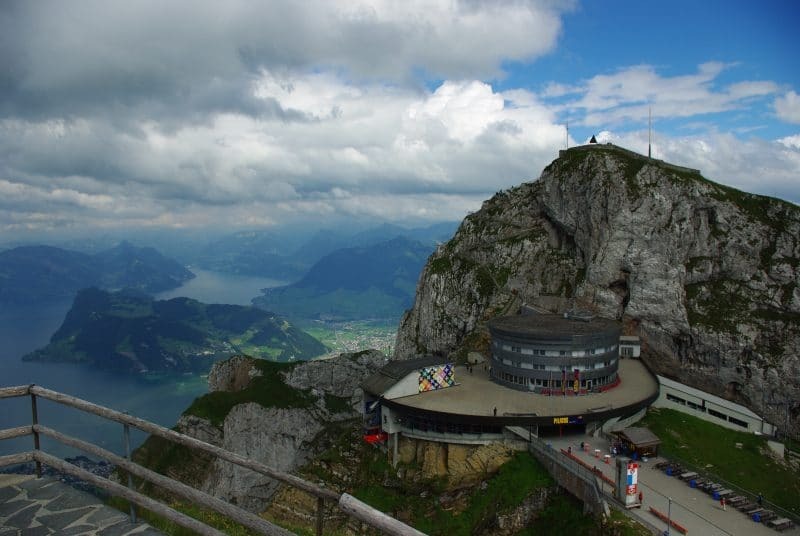 A stop at Mount Pilatus is a fun little day trip. There’s lots of activities for the whole family, and a neat observation deck at the top of the mountain. We didn’t climb it. Why would you, when Switzerland has mastered the art of cable car technology? After a few hours of taking in the fine views atop Pilatus, we ambled down the mountain not in a cable car, but instead on a cogwheel train. That was pretty cool. Slow, but fun. Luzern awaited. What a pretty town. We would spend the night here at one of the cleanest, and spartan hostels on the planet. 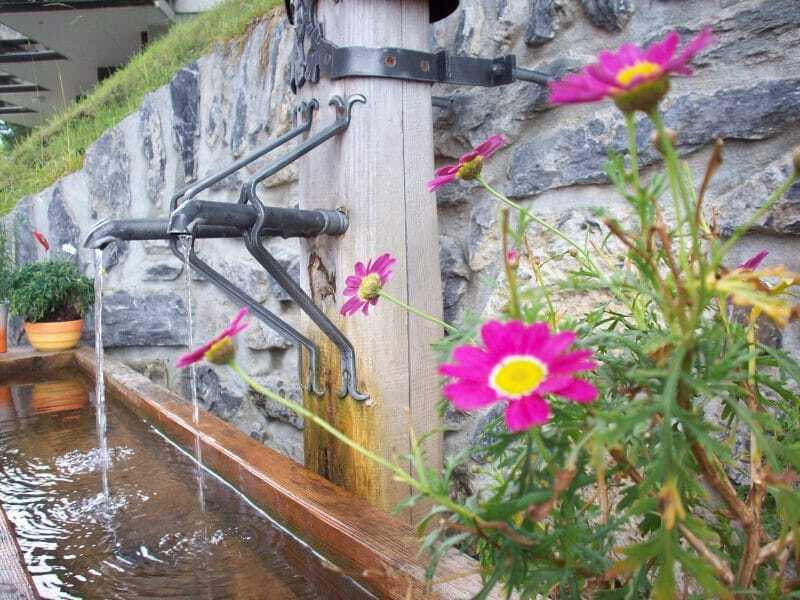 You don’t mind sharing bathroom facilities in Switzerland, and this hostel was no exception. Not that I minded sharing facilities in Peru, but at least Switzerland had hot showers. After the overnight in Luzern, we were off to the Berner Oberland. 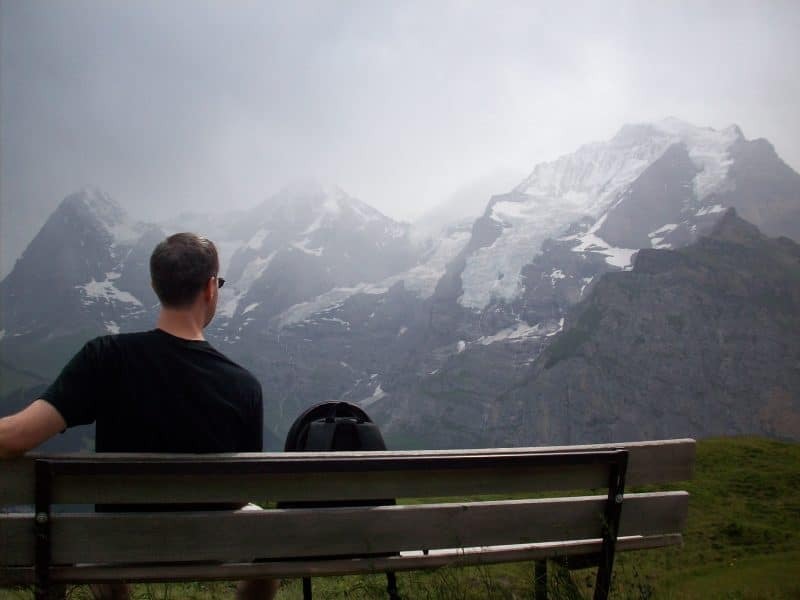 We had chosen to stay roughly halfway up the mountains in a little town called Gimmelwald. We pretty much followed the Rick Steves’ script – and so glad we did. The views alone were worth staying in this quiet farming community. A more ritzy, ski resort town called Muren was just a short 15 minute hike up the mountain. Hanging out in Muren. Rick Steves is our third companion. Hiking in the Alps is incredibly fun. You can amble about on easier hikes with limited undulation, or go full-on alpine. We stuck to the easier stuff, but definitely got our walk on, putting in a good 10 miles or so one day. Gotta earn your fondue dinner. That stuff is rich! There is so much going on here in the summertime, but you never feel crowded by tourists. The wait times at restaurants were very reasonable, and hiking trails were far from congested. Sometimes it felt like we had the whole mountain to ourselves. Contemplating early retirement back in 2009. 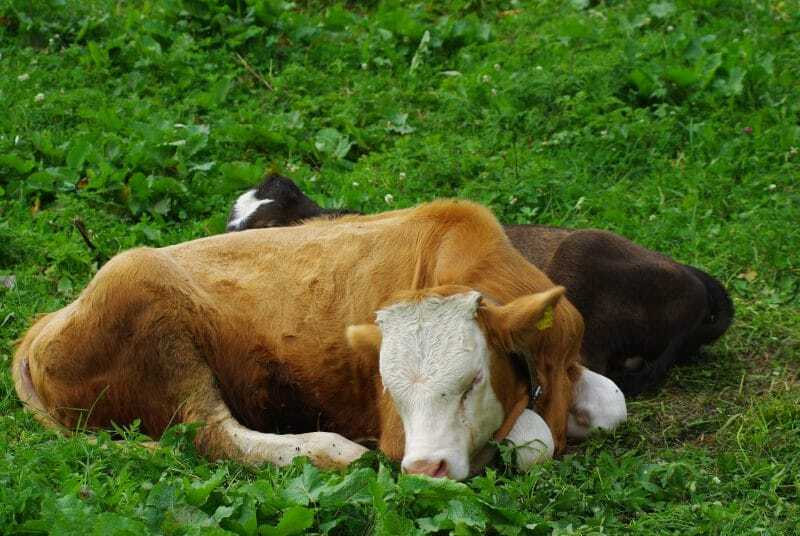 Friendly cows are everywhere. But amazingly, it doesn’t smell like Wisconsin. One of the highlights was taking a cable car up to the top of Schilthorn – Piz Gloria. This was the set used in the Bond film, On Her Majesty’s Secret Service. It is absolutely crazy to think about the effort to put this sophisticated, modern structure atop an alp. With a rotating deck, no less! 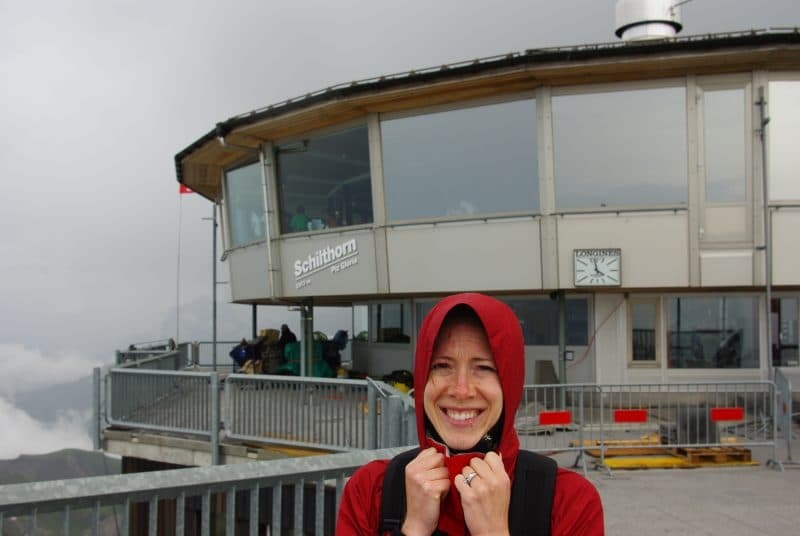 Atop Piz Gloria: Windy outside, but toasty and warm inside! There is an option to hike your way down, but we wisely chose the cable car option. Even then, it was so windy coming down, we were literally stuck for about 5 minutes. Add a few nearby lightning cracks for terrifying effect and you start getting nervous. Again though, something about confidence in all things Swiss engineered kept me from freaking out. We absolutely LOVED Switzerland. And we only got to see some of the highlights. That said, what we did manage to get to were the top of the list from Rick Steves’ perspective, so we feel good we took the itinerary we did. And once you’ve stepped foot in the alps, you wonder why you spent a hot minute in the fine Swiss cities. Use the mass transit options. It’s so easy to get around by train and cable car in Switzerland. I won’t tell you the trains are cheap, but it’s definitely a better deal and less hassle than renting a car. Sit back and enjoy the rails! Don’t blow your money on souvenirs. Buy some mass produced Lindt chocolates at the supermarket for cheap if you have to. Otherwise photos make the best and most lasting souvenirs. Get stranded at JFK so you can write a complaint letter to your chosen airline. You might get some compensation. But then, ideally, your flight goes off without a hitch. Let me know in the comments if you’ve ever been to Switzerland, and what you’d recommend checking out. 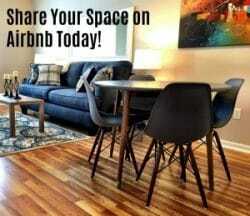 I’m also happy to answer any general questions for those thinking about a trip there. Auf Wiedersehen! Loved that post. And the pictures. Just yesterday, I was telling my husband that I didn’t want to travel any more. Looks like I will have to eat my words! Thank you! Travel is amazing. That said, I don’t think I could jet set all the time like some folks do. That’s just too much. Before kids, we took one “fancy” trip every year. We’ve gone five years since our last overseas venture (if you count a cruise?) So, we’re due ourselves for a little adventure! Fully concur, Switzerland is very nice, and the Alps are better than the cities IMO too. We also agree Steve’s paperback books are very helpful. I found that I preferred the lower half of Germany just as nice and slightly cheaper. I also drove a manual car EVERYWHERE…love the Autobahn (except on holiday). We stayed at a castle on the Rhine, visited medieval villages, ate real food, good bread, pastries, and had more than one dunkel beer. Did a lot of walking. Prost! Hey there, Maverick! (Ice Man here…) We actually did cross into Germany briefly while visiting our friends. Very pretty, and love the ease with which you can cross borders thanks to Shengen laws. I have the Rhine on my list – one of those slow river cruises with biking day trips or something like that? I have been to Luzern, and agree with you 100%! 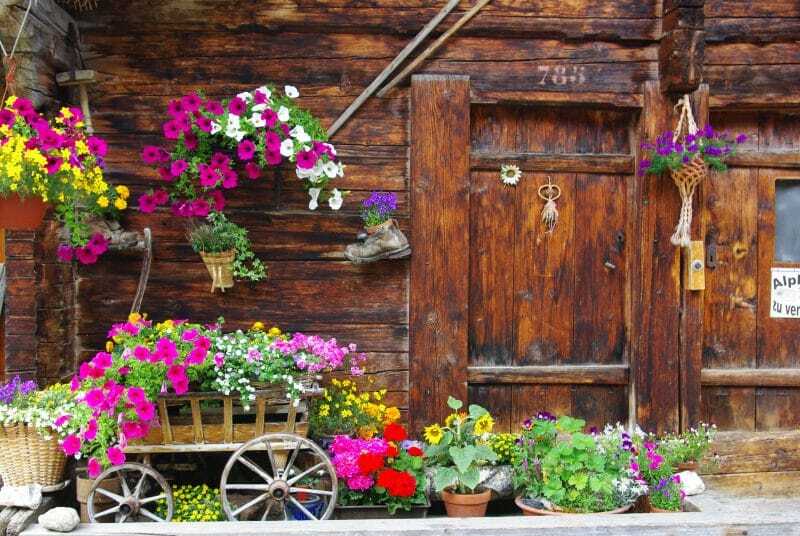 It is a beautiful, clean and friendly place and I would go back in a heartbeat! Yes! It is so impressive. Then you get to the Alps and the amazingness goes up yet another notch! Nice pictures! Love that country too, been there many times and have similar photos to share. It’s still bloody expensive thou! Thanks my friend! No windmills there that I recall, but I’ll be on the lookout next time. It is such a beautiful place – and equally expensive just as you say. For two of us it was not bad. The whole family of four might be a bit much for this guy’s wallet! Get on it man – You’ll LOVE IT! Nice write up and great pictures. I’ve always wanted to visit the Alps. Also, glad to hear you also enjoy Rick Steve’s…he does a great job representing our country and his weekly podcast is one of my favorites.. Wait a minute – where are you located again, HCF? England? I’d still see about getting a Euro Rail Pass for Swiss Alps adventures. That country was seemingly tailor made for rail transport. Unfortunately(?) no. My homeland is a little bit less prestigious place, I am Hungarian guy from the northern borderlands of Serbia. The locations you mentioned are roughly 1200 km away from me 🙂 Checked the Eurail Passes and I am sure that would be a lovely trip too (I love to travel by train), but still, it would cost ~670-970 (5-10days). You still live in a very interesting place, by US Midwestern standards! I hope you make it to Switzerland soon, my friend! A few years back we did a Mediterranean cruise and were able to see a bunch of countries on our bucket list including Spain, France, Italy, Greece, Croatia. We absolutely loved it but we didn’t see some other countries on our list that aren’t on the Med. A couple of countries in Europe that we still wanted to see after that trip included Sweden, Austria, Germany and Switzerland. Thanks for the quick preview – it looks gorgeous! We’ll have to make sure Switzerland is on the list once the kiddos get a bit older! Ahh yes! The Med! I’d love to hit that itinerary. We have Italy on our list for the next big trip. Just mom and dad though. We’ll see if we can pull that one off. I would definitely suggest Switzerland and Norway having visited both. Norway over Sweden since Norway lucked out with the beautiful mountains, fjords, and coastline. You can’t miss with Switzerland, Peter. Take the kids on an itinerary by Rick Steves’ and you won’t be disappointed. 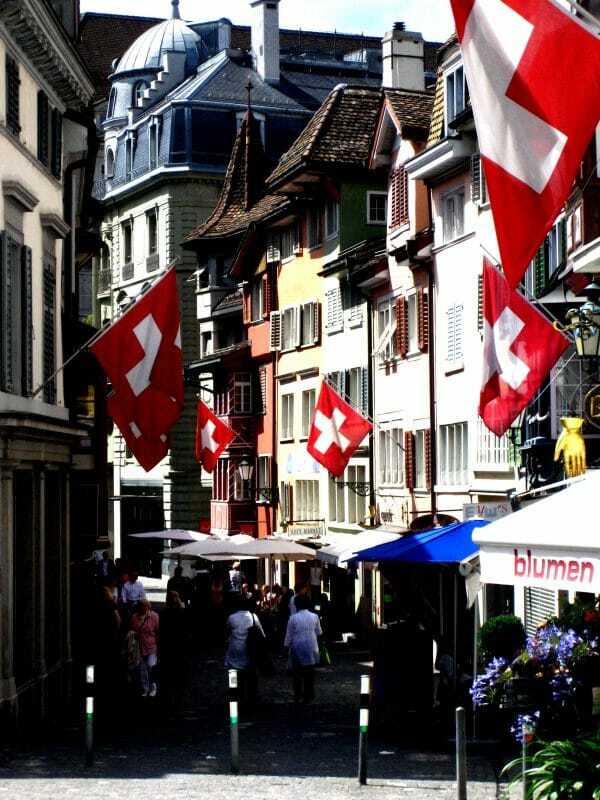 Alright Cubert now I want to go to Switzerland. Thanks for blowing up our 2019 travel plans, I think I’m goin to pitch this to my wife instead of the trip we’d had thought of (Ireland/England/Scotland). Heh. Ha! Sorry – I hope I didn’t blow up 2019 TOOO bad?!? For sure, I’d hit Switzerland before the UK. The UK seems interesting to me, but almost something I’d better enjoy in my 70s. Nice review. Switzerland is an awesome place. Need to visit someday. I am not much of a hiker. Thanks man! You should check it out. You don’t need to be a hiker. You can enjoy the Alps in any number of ways. It was fun to see all the European campers clustered in tidy / compact zones in the valley in our Alps visit. Some just like to hang out and relax while being surrounded by beautiful mountains. Idyllic to the Nth! This article made me want to travel! 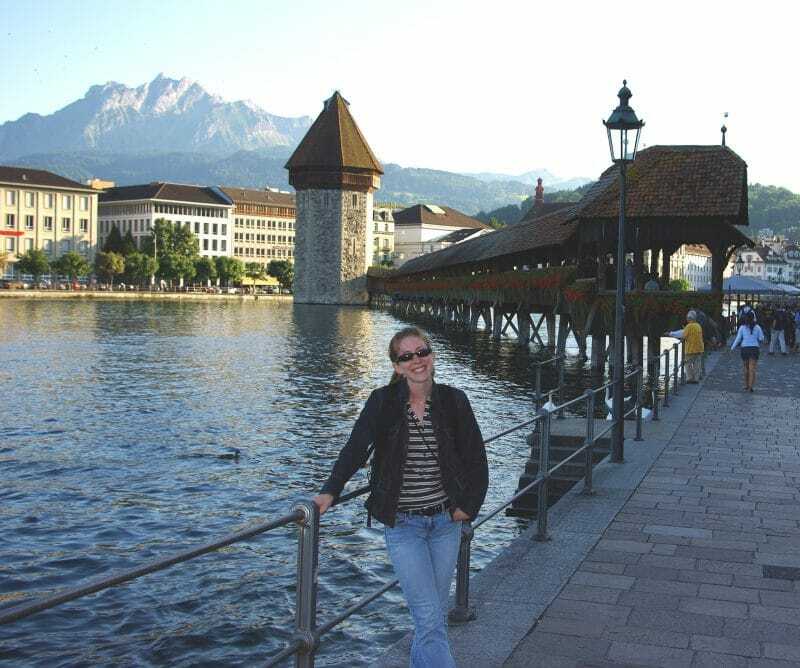 I’ve been to Switzerland, but it was well over a decade ago – though I do remember it as being extremely harmonious, pretty, and orderly. I think I went to Zurich. Hey Miguel! Guten Abend from Nevada! 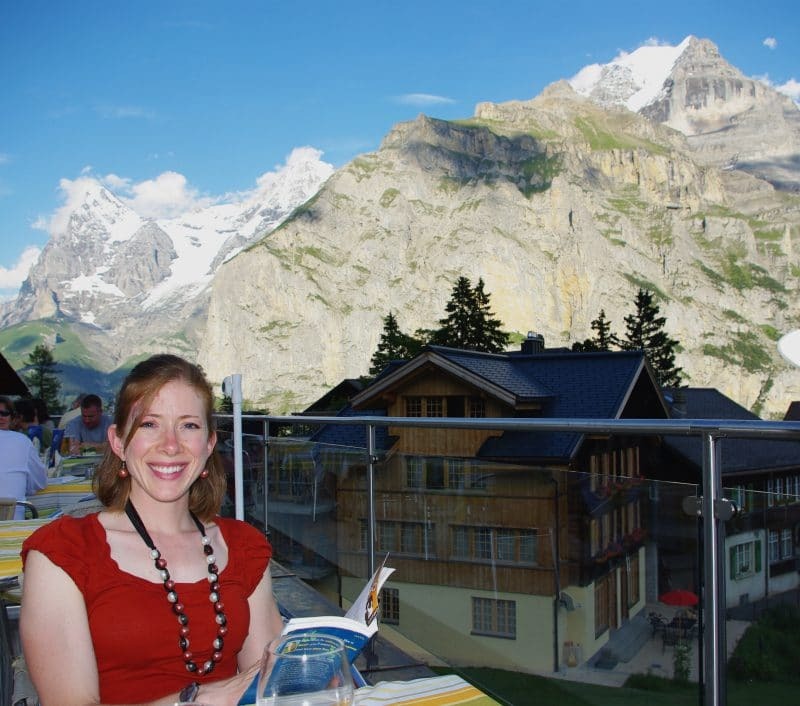 Funny – we might have been in Switzerland at the same time, if you were visiting in June?